March 30, 2017 By This post may contain affiliate links. 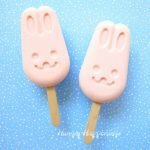 Blend together strawberry yogurt and Cool Whip to make these cute and easy Frozen Yogurt Bunny Pops. 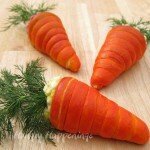 Serve them on Easter or a hot summer’s day. Your kid’s will love them. 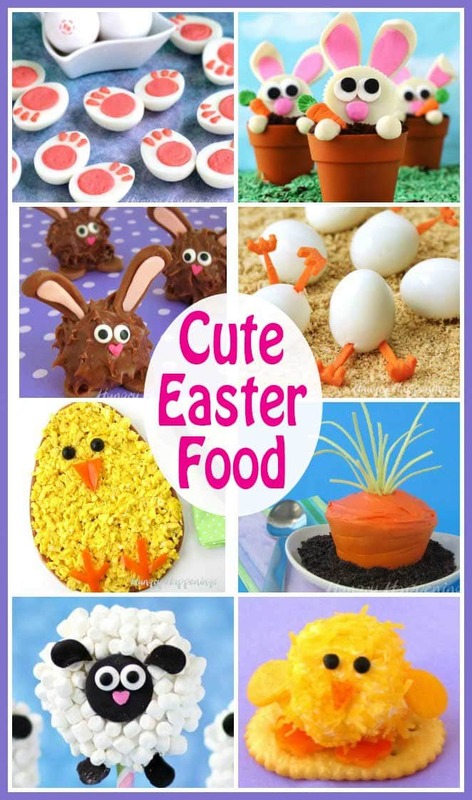 Today’s food craft recipe couldn’t be easier to make yet still looks adorably cute. These Frozen Yogurt Bunny Pops are made using a silicone frozen treat mold that is shaped like a bunny. You just blend together your kid’s favorite yogurt (I used strawberry) with some whipped topping, pour the mixture into the mold, insert some popsicle sticks, freeze, and un-mold. In less than 10 minutes of prep time you can make these fun frozen treats. You’ll have to wait a few hours to enjoy them, but they are so quick and easy to make. When I created these treats the first time I simply froze the yogurt, but found the pops to be quite hard. I added some Cool Whip which helped keep the pops softer and much creamier. You can use homemade whipped cream if you prefer. 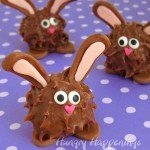 You’ll need to get a silicone bunny mold in order to make these treats. 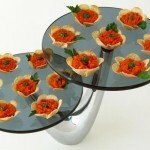 They are around $10 and can be used over and over again. The mold even comes with a set of popsicle sticks so you don’t even have to run to the craft store to get some. You can find the mold on Amazon (commission earned for sales). I’ve also shared links to other pops molds that look like fun! 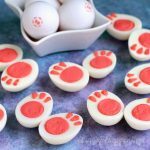 You can make frozen feet, paw prints, and snowmen in addition to the cute frozen yogurt bunny pops. 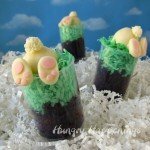 Blend yogurt and frozen whipped topping together to create a creamy frozen yogurt then pour it into bunny pops molds and freeze. Stir together the yogurt and Cool Whip. 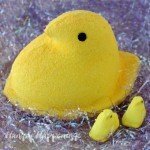 Pour into the 3 bunny shaped cavities in the silicone mold. Freeze for about 4 hours until the pops are firm. Who knew yogurt and cool whip could make such a darling treat! I can see frozen yogurt pops in my future! 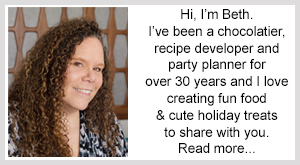 Have fun making your frozen yogurt pops!